"Nearly perfect... one of the truly great documentaries of 2011... [Steve] James' "Hoop Dreams" has been spoken of with reverence and wonder for 17 years; now, he has an equal to its reputation." "The most necessary film of the year... full of vibrant, complex real-life characters whose troubles and joys will stay with you long after the movie's done." ""The Interrupters" is a great work of drama that happens to be real, a Russian novel about crime and repentance set on the real-life streets of 21st-century America. You won't see a movie this year that is more moving, more tragic, more upsetting, more hopeful or more necessary." "A film of immense gravity that never tips into earnestness, and where glimpses of optimism and even humour exist without glib promises of happy endings for all." "Will be a strong, and perhaps the leading, contender for end-of-the-year awards and honors. The film is certainly one of the best nonfiction features in recent years and a classic example of verite filmmaking." "From the first to the last frame, this is an engaging and heart-wrenching film, with framing, pacing, scoring and editing that is nothing short of astonishing. 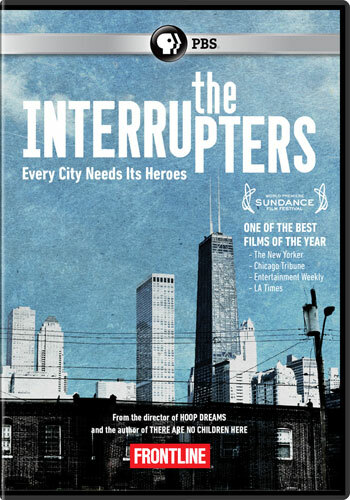 Everything about this documentary works, and despite its frequently dark subject matter, The Interrupters is filled with humor, and overflowing with wonderful little moments that capture characters at their most intimate...The Interrupters is a tour-de-force." "The film not only suggests, but demonstrates, through the heroic investment by its subjects, day to day, that the cycle of violence can be broken, and must be broken. In the words of one, the goal is “humility and not anger.” These are powerful stories of trust, transformation, and renewal of hope in Chicago streets and the hearts of America. The closing shot is elegiac, literally dazzling, as sunset ripples golden-orange across the Chicago skyline seen from the west, not the Lake, and yet it also says Chicago, and cities, and Chicagoans, and the hope for a better nation still stand, and stand strong. It’s a powerful image, evoking one last tear, at least from this longtime Chicagoan." "The Interrupters is one of the great movies of the Obama era, the best and most painful so far." "This documentary is nothing short of perfection... will hopefully find its rightful position in the documentary canon as one of the most committed, inspired and important works in the history of the genre... should be placed in every library, broadcast on every television and projected in every theatre in the country." "A masterpiece of documentary filmmaking." "A worthy successor to Steve James's masterpiece, 1994's Hoop Dreams... a work of advocacy expressed almost entirely through character development." "Riveting... With seemingly unlimited access, The Interrupters is an explosive and unapologetic look at the vicious reality of gang life"
"A powerful and fascinating film that deserves all the attention it’s bound to receive. 5/5"
"By consensus the best documentary of 2011"
"The Interrupters shows the potential healing that can occur when you stop addressing Black youth through a tragic lens that views them as problems to be solved and start talking to them as human beings." 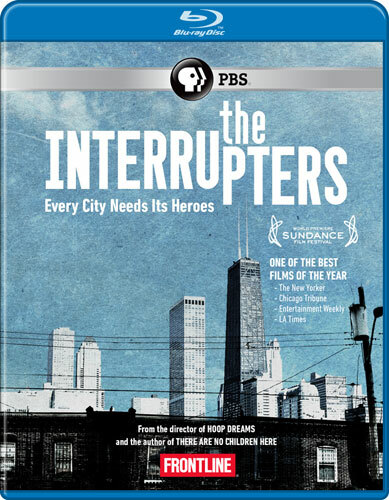 "The Interrupters beautifully and poignantly illustrates the harsh realities of life in urban high-crime neighborhoods." "The facts are staggering. But what roils through us is that, though every word against violence in this film is true, the dificulty begins before a gun appears in a youngster's life. It begins with the degree of hope in his iife. James and Kotlowitz know this and a good deal more." "This is a great film." — Judith Warren Little, Dean of UC Berkeley’s Graduate School of Education. "Superb... every member of the U.S. House, the U.S. Senate, the White House and the tea party, let alone anybody simply interested in meeting some complicated and remarkable Chicagoans, should see the film... In some ways this is a richer portrait of Chicago, race, class and sociology than the same filmmaking team's beloved "Hoop Dreams""
"In Altgeld Gardens, a wall has the name of a different victim inscribed on every brick—except for the brick that says, in tiny letters, I Am Next. The Interrupters is about trying to break that wall, day by day, season after season. It’s a task these extraordinary people have come to recognize as complicated, often heartbreaking but absolutely necessary—which is how I’d also describe the film." "This epic documentary repeatedly brought tears to my eyes and a lump to my throat. It’s like a real life episode of The Wire, compelling and authentic, swinging back and forth between hope and despair." "Don't see The Interrupters out of some grudging civic duty. See it for the beautiful and horrifying people, for the despair and the against-all-odds uplift. Hardiman stresses that CeaseFire doesn't talk religion but it does work to save lives. For ordinary moviegoers in search of an enthralling experience, that work and this film are heroically life-affirming." Film of the Month: "As compelling as The Wire... A heaveyweight film about a heavyweight subject." "Empathetic and powerful... has a Dostoyevskian intensity." "The documentary of the year." "This is documentary as it should be: a thorough exploration of causes, effects, and circumstances as much as an actual narrative." "A masterful film that challenges TV news stereotypes at every turn." "The stories that don't turn out well break your heart, and those that do make it burst." "Stunning... Every second of its running time is riveting." "With a great heart that makes yours grow three sizes every damn minute...The Interrupters is an absolute winner. Directed gorgeously by Steve James, The Interrupters is a beautiful piece of documentary filmmaking that despite its nearly three hour long runtime, is one of the most watchable documentaries in quite some time." "A heartbreaking, empowering documentary about inner-city violence"
"Absorbing, moving and often disturbing"
"Cross your fingers that someone picks up festival films like “The Interrupters,” a gut-wrenching documentary"
"Odds-on favorite for Oscar... a wonder unto itself"
"Simply calling THE INTERRUPTERS powerful would be a gross understatement. Much will be discussed about the film’s length, at a whopping two hours and forty minutes it may be a barrier to entry for some. It should not be, though, as there is not a second in THE INTERRUPTERS that is anything even remotely less than riveting." "An exciting film, a few scenes recall moments from “The Wire,” and a moving story about the full breadth of human capacity – evil, empathy, and transformation." "An incredible and moving film... I admit it was a roller coaster for my emotions, as I honestly shed a few tears at moments of both sadness and hopefulness. Any concern about the film's length is met with the realization that it could not be any shorter. Every second is necessary.... As U.S. Education Secretary Arne Duncan states in a press conference about the latter murder (of teen Derrion Albert), "seeing something on video seems to wake up this country." Will that be true of viewers seeing 'The Interrupters'? Academy recognition will likely bring a larger audience to a film like this, and then maybe we'll see. " "An important, moving film that will change preconceptions about what inner-city life is like." "The Interrupters challenges assumptions from both Hollywood (with its need for happy endings) and the news media (whose alarmism suggests that intervention is a lost cause), building a case for cautious optimism and slow, incremental progress." "An epic chronicle of American gang warfare determined to show the good in every devil and the latent evil in every angel"
"An eye-opening account of efforts to end an epidemic of violence in Chicago, The Interrupters alternates between shocking glimpses of how bad things have gotten there and a surprisingly convincing optimism about new methods of addressing the problem. Fresh and urgent, it holds a strong appeal for viewers." "The Interrupters deserves the same levels of praise that Hoop Dreams received. It’s a well-crafted film with captivating subjects and brutal honestly. It’s rare that even after 162 minutes, a film leaves the viewer wanting even more. But that’s definitely the case with this film." "In the meanwhile, look for Steve James’ The Interrupters to win next year’s Oscar for Best Documentary and to stir controversy around its eventual PBS airing." A distributor committed to marketing its anti-violence message as an extension of the interrupters work might be able to catapult it to widespread acclaim and Oscar potential. Now launching an interactive web campaign, Interrupt Violence. Help us reach youth and communities affected by violence.